Do your cyber defenders have what it takes to keep your networks safe? How do leaders know that degrees and certifications translate into hands-on skills in an operational environment? Organizations struggle to hire, develop and retain skilled cyber professionals. Every year, thousands of jobs go unfilled, leaving organizations vulnerable to cyberattacks. Top management needs to know that its technologists are doing their jobs and keeping networks, systems and data secure. But how? Not enough cyber experts are adequately trained and capable of performing their duties. Not only do they lack the skills but there will be a global shortage of 2 million cyber professionals by 2019, according to Information Systems Audit and Control Association (ISACA), a non-profit information security advocacy group. This puts an additional burden on those already hampered by the skilled talent gap. The U.S. military uses the phrase “train as you fight” for good reason. It emphasizes the importance of realism in training. The adage holds true in every industry: training is most effective when it mirrors the demands of the job. What if you could train people in a safe environment on a replicated network that looks just like yours? Using your own software, configurations and procedures? In a network populated by virtual users, traffic and behaviors that look and feel just like the real world? ManTech’s Advanced Cyber Range Environment (ACRE) can help. Originally developed to support our military cyber warfighters, ACRE fully embraces the “train as you fight” concept. ACRE develops and enhances your own internal training products with cyber range-enabled lab environments. Introduce your cyber defenders to the technologies you use, precisely as they’re deployed in your own environment, and challenge them to engage in realistic scenarios – from the most basic to those that keep you up at night. That experience translates directly into tactical experience that dramatically improves on-the-job performance. You’ll have confidence knowing your staff understands how your technologies and processes work, and you’ll be able to capture the metrics that demonstrate improvement over time. Though specifically tuned for cyber warfighters, ACRE supports training for any IT system: internal business systems, specialized technologies and even new systems preparing for deployment. Onboarding new staff? Train them to use your tools and follow your procedures. Developing advanced professionals? Design a career development curriculum for job roles. Inserting new technologies? Ensure that all of your affected personnel are trained for deployment. ManTech’s ACRE supports training at every level of expertise. Introduce your staff to new technologies by leveraging our partners’ extensive library of commercial and certification-oriented training. Then develop staffers’ skills through your own custom cyber range-enabled training. And finally, challenge them to prove their mastery by participating in one of our cyber range capstone exercises. Log in to our Learning Management portal on the web and access on-demand content. ACRE dynamically creates the lab environment upon the user’s request – ready for use within seconds. Schedule remote classes and leverage our online collaboration functions, or use our portal to enhance in-person instructor-led training events. Curriculum developers can log in, upload or create new content – and then work together to review, revise, enhance and publish using our robust collaboration functions. Training managers can use our robust feature set to manage every aspect of your training solutions, course permissions, learning tracks, performance and utilization metrics and more. If your organization already maintains a Learning Management System, our portal can integrate through industry-standard protocols to deliver the training data into your authoritative training repository. 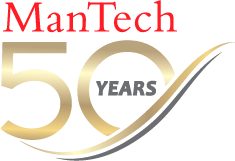 Download the ManTech Training and Workplace Development brochure.